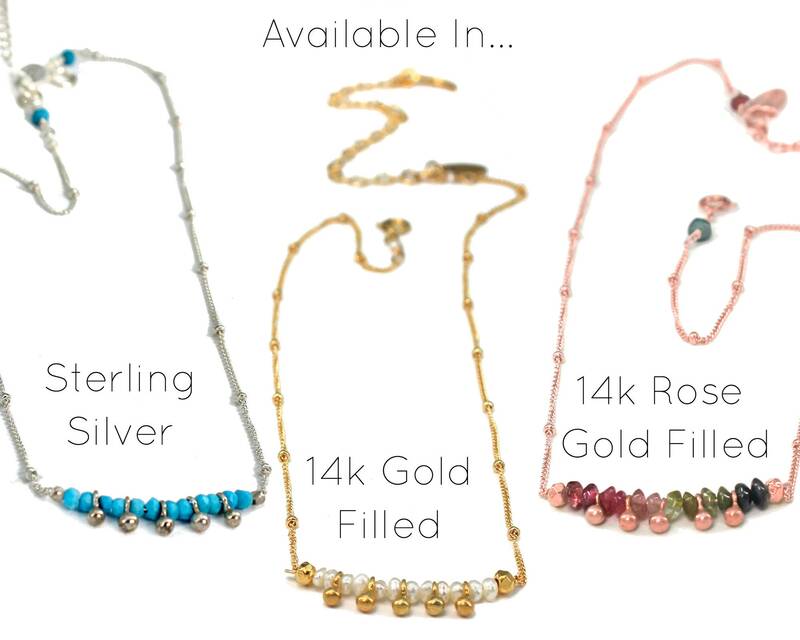 Precious Metal and Length Gold 12.5" Gold 13.0" Gold 13.5" Gold 14.0" Gold 14.5" Gold 15.0" Silver 12.5" Silver 13.0" Silver 13.5" Silver 14.0" Silver 14.5" Silver 15.0" Rose Gold 12.5" Rose Gold 13.0" Rose Gold 14.0" Rose Gold 14.5" Rose Gold 15.0"
Peridot Choker. 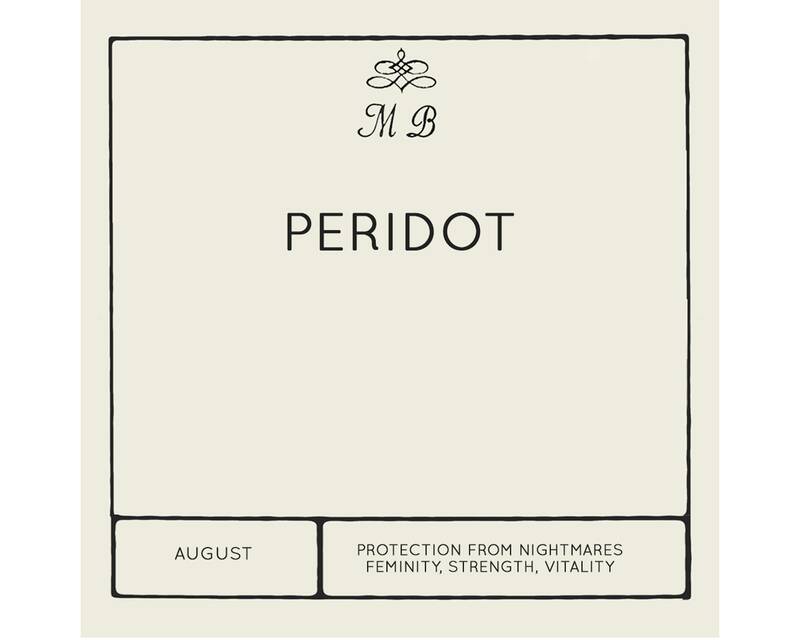 August Birthstone. Healing Stone. Gift for Sister. 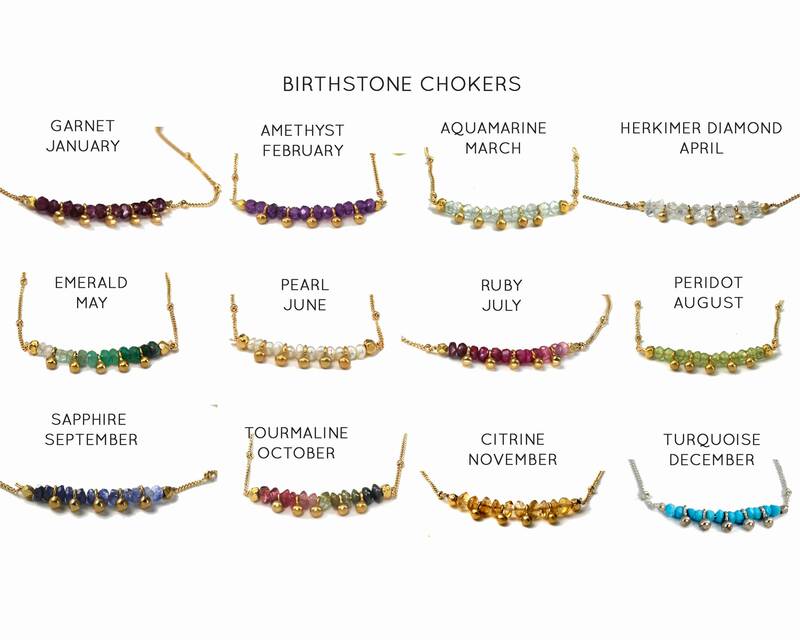 Adjustable Choker. 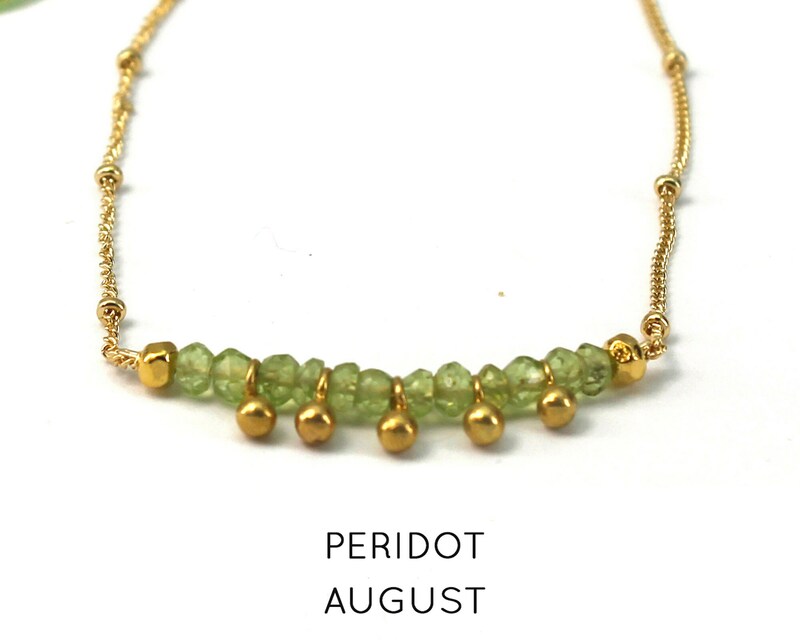 Adorable Peridot choker for August Birthdays. 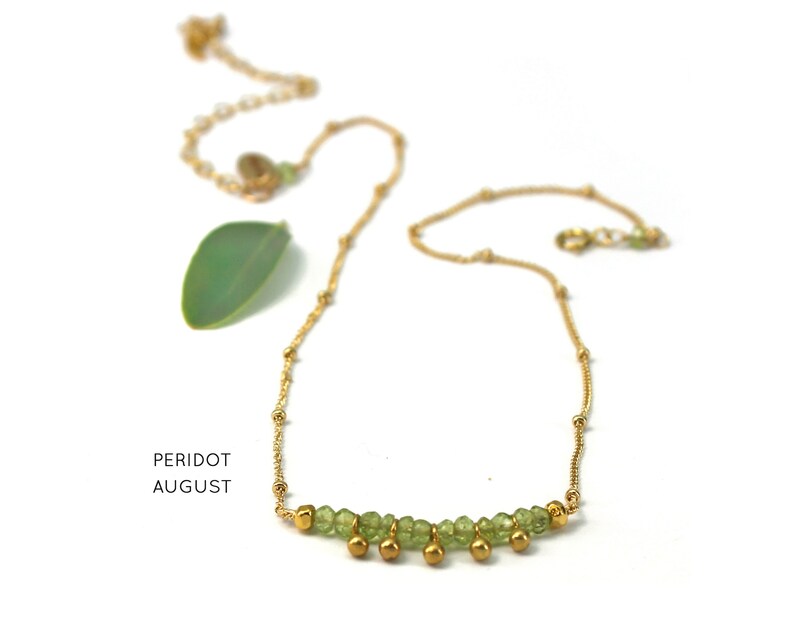 Peridot is a healing stone which endows strength and vitality to the recipient. 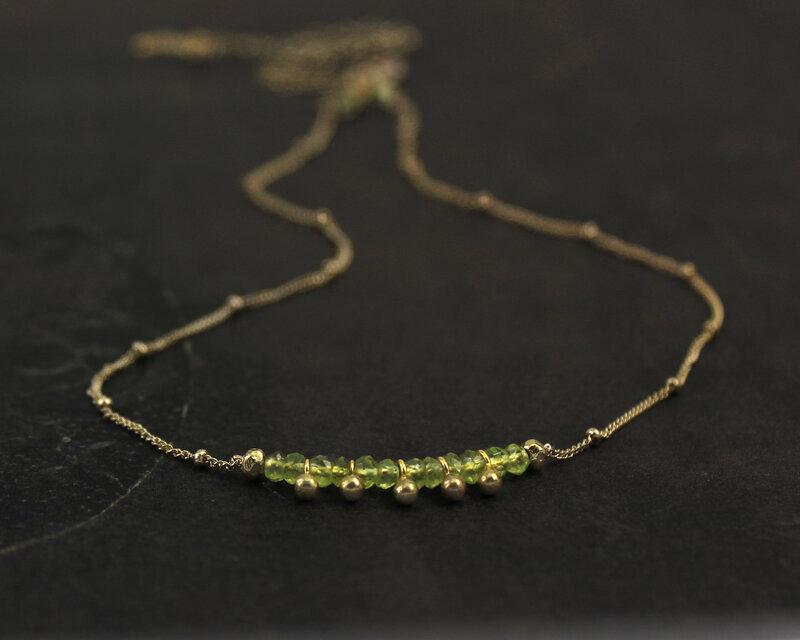 This is a dainty necklace that is great for layering. 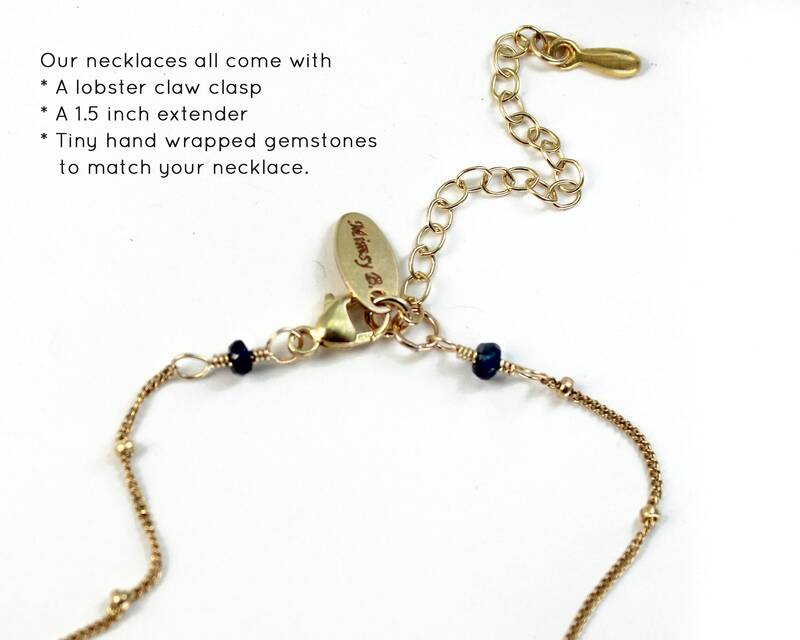 It comes with a 3" extender so it can be worn as a choker or a short necklace. 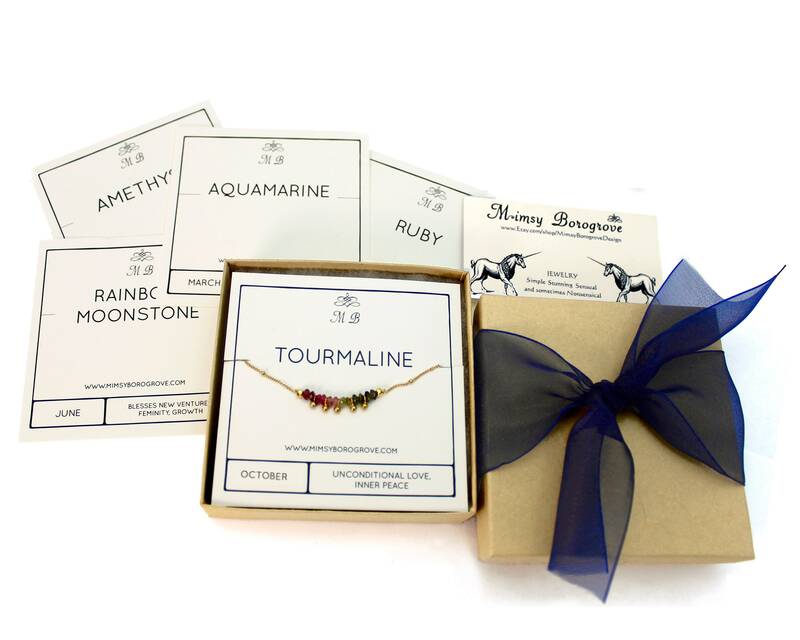 It comes gift wrapped with the special properties of the stone on a card.